The tram line effect groove on this Premier Remondo-Square kitchen door design adds a little something different to your kitchen. Premier Remondo-Square drawer fronts start from £2.10. 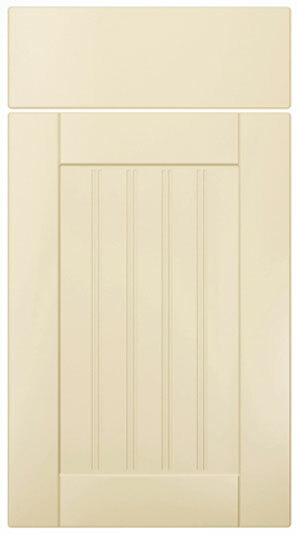 Click the button to purchase a Sample Premier Remondo-Square design kitchen door. The Premier Remondo-Square design is available in ALL non-gloss finishes. The Premier Remondo-Square design is available in ALL high gloss finishes. Please Note: The Premier Remondo-Square design is NOT available in any high gloss finishes.